The Walking Dead presents a harsh look at the difficulty survivors of a post-apocalyptic event have in banding together, surviving, and trying to create some semblance of normalcy. We’ve spent the last few seasons watching how Rick and the group cope with the new world order and struggle to retain their humanity as they have to survive against zombies and other people who might wish them harm. How might these other characters fare? In Parks and Recreation, Leslie represents unflappable optimism, hard work, and competence. And she displays these traits in a world that is comfortable, has a stable government and society, and easy access to supplies. But not even an apocalypse could stop Leslie Knope from trying to be the best person she can be. Provided that she survived the initial outbreak, Leslie’s gumption and audacity would give her the tools necessary to gather a group and lead it with compassion and fairness. Leslie works hard to make her friends and family feel loved and this would help her garner a lot of support with the other people she’s now stuck with at the end of civilization. Her potential downside would be her love of government. As someone who is so entrenched in democracy, Leslie would become bogged down in trying to poll her group of survivors to make decisions and would ultimately be vulnerable to someone else developing a cult of personality among her group and ousting her from power. Diplomacy might present an issue for Leslie as well, because a gang of marauders like Negan aren’t necessarily going to want to sit down at a summit. The last surviving member of the Targaryen dynasty in Game of Thrones has experience leading people in times of turmoil and change. During a zombie apocalypse, she wouldn’t have to contend with the population of an entire city - only a small group. She would be able to build a loyal following of survivors and unlike Leslie Knope, Dany doesn’t believe in democracy. Dany rules with absolute power. While it is unlikely that Dany’s group would turn into a directly hostile group akin to the cannibals of Terminus, Daenerys has a penchant for conquering others and pulling them under her rule. She would have a lot of difficulty dealing with other leaders who fancy themselves dictators, likely turning to violent means to achieve her goals and empower her own people. The trials and tribulations that Daenerys has already suffered give her an edge when it comes to handling a full on zombie apocalypse. And this survivability and tenacity would endear her to those survivors that follow her. Her heart, compassion, and drive would eventually create a new society based on the rule of a queen. It would be functionable and look out for all those who live under her rule. Harry Potter isn’t the smartest, or the most competent individual in the Harry Potter franchise. But he is the most charismatic and has a leadership quality whereby he sees and utilizes the strengths in those around him. As a user of magic, Harry wouldn’t have much difficulty keeping the zombies away from his encampment. Nor would he have difficulty handling muggles that would otherwise cause him harm. 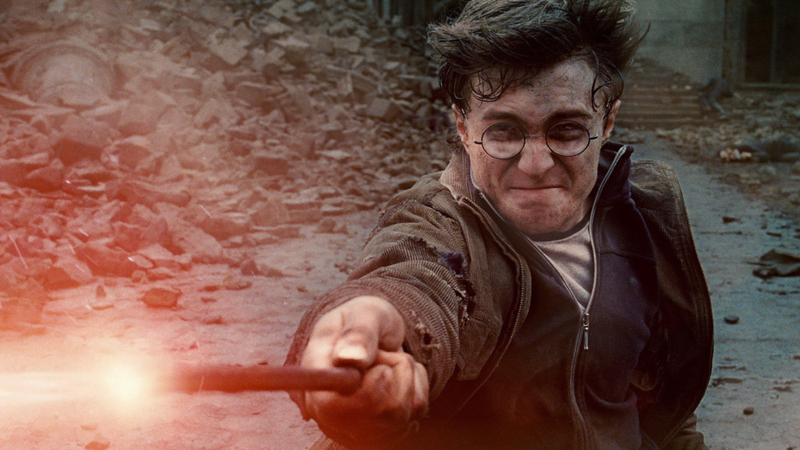 Rather, Harry would have to contend with witches and wizards taking advantage of the chaos to cause harm. But Harry would have a group of good witches and wizards around him, with skills and abilities they could use to protect the muggles they find and care about. Harry’s inspiration and leadership would serve him well in establishing a new world for everyone to live in. He would eventually create a powerful group that could protect everyone within it. Harry is the most likely to be able to rebuild a crumbling society, albeit one that has less division between muggles and the magical folk. Luke Cage fits in the “reluctant leader” archetype. The man with bulletproof skin typically just wants to live his life in peace and be left alone. But like how the dire situation in Harlem forced him out of his “retirement” - a zombie apocalypse would force Cage to accept the mantle of leader and help as many people as he possibly could. Luke Cage is impervious to zombie bites, the bullets of hostile groups, and has enough strength to single handedly erect makeshift walls by himself. However, the people he’s trying to protect would be normal, fleshy humans that wouldn’t be able to survive nearly as well as himself. This means that Luke runs the risk of feeling too much survivor's guilt to continue leading, there’s a real possibility that despite his sense of duty Luke simply runs off into the woods and lives life as an impervious hermit. But Luke would always be drawn back to humanity and try to make a positive impact on the world around him. He feels a sense of obligation because of the experiment that gave him his superpowers. And I don’t think he would be able to resist the call to help out as best he can for very long, to the benefit of those who would be helped by him. He would be a leader that everyone could rally behind and that could never be harmed by outside forces. Bloodthirsty monsters are just par for the course for Ellen Ripley, so her ability to handle the impending zombie threat is beyond question. But she hasn’t had a lot of experience leading a group during a time of extreme duress. Sure, she managed to help coordinate an effort to defeat the Xenomorph in Alien and was critical in protecting Newt in Aliens but she’s never been tested in a long term leadership role. Ripley is tough and no-nonsense. And based on her personality she would wind up the most like Rick in The Walking Dead out of anyone on this list. She would expect people to follow her orders and would take responsibility for their survival. As someone who thrives in high stress situations and environments she would have little trouble determining what best to do in the short term. She wouldn’t create a dynasty or lasting dictatorship, Ripley is the type of person who would give up power once peace had been achieved. She isn’t in it for the glory and she doesn’t feel that power is her right by birth so there’s no real reason other than survival for her to stay in charge of a small band for longer than is necessary.